Began life as a video journalist on the South African equivalent of 60 minutes. Began shooting stills in 2007 with my first DSLR. Awards at the Australian Professional Print Awards and NSW Professional Print Awards 2012-1017. Winner Fine Art Section Stark Awards 2016 . Honourable Mention in Spider (monotone) awards 2017. 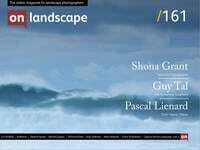 Landscape photographer from Huddersfield, West Yorkshire. Love to photograph woodland in particular but also like a grand vista. My aspiration is be a competent and respected photographer and share inspiring artistic photographs with others of the Norfolk Coast. The beauty of working impressionistically is that you can suggest mood by careful use of colour, shape, and of course light. I believe all my landscape images can be reduced to a diverse collection of shapes, lines and colours, textures and patterns and show the beauty of the Norfolk Coast. Born in Warsaw, Poland in 1961. Leave a well started music career and Poland to follow feelings to Lausanne, Switzerland in 1986. Got married, worked for money and played drums in rock bands for pleasure. Became father 22 years ago and widower 9 years ago. Photography was present along all this way but took more and more space in the last 5 years.